Businesses worldwide have invested billions of dollars into assets and inventory. These include functional items ranging from furniture and electrical fixtures to technical assets used to help employees carry out their tasks. A lot of these assets are also industry-specific – cranes for construction firms, safety gear for fire departments, or AV kits for the media industry. In fact, businesses are now holding on to a lot more inventory than they were previously. According to the Supply Chain Digest, the quantity of inventory on hand has risen 8.3% over the past five years! This means that companies need simpler and increasingly more intuitive ways to track and manage their assets and inventory. The best way to do this would be with the help of asset tracking software. 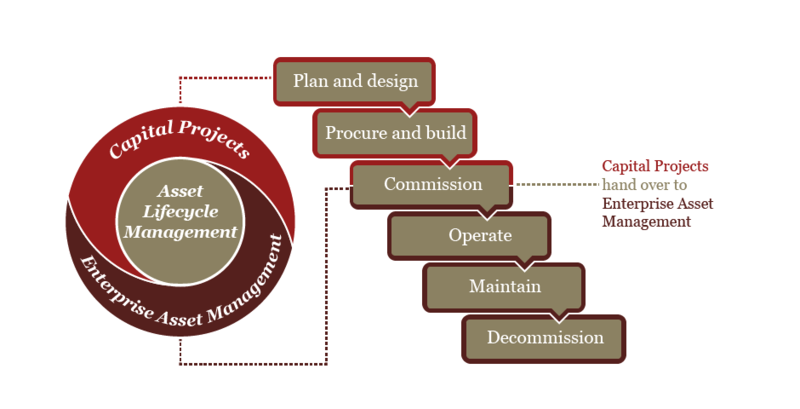 A robust asset management system can help you track the complete asset lifecycle – from procurement to retirement. It enables you to take actions on these items, and assign them to employees for more streamlined workflows. While this can be a huge boon for large-scale companies, it is equally important for smaller businesses, to enable them to focus on core efficiencies and improve that bottom line consistently. This post will provide actionable steps on how small businesses can get started with an asset tracking system, and how best to utilize such a solution on a daily basis. But first, let’s look at why this is a particularly important issue for small businesses. Small businesses face a whole host of problems, from struggling to find investors, to managing different departmental needs with only a few resources. One of the ways in which small businesses suffer the most is their inability to benefit from economies of scale. Larger organizations can get away with low optimization because their costs are divided over different spheres of the business, small businesses have to keep pushing for efficiency every step of the way. 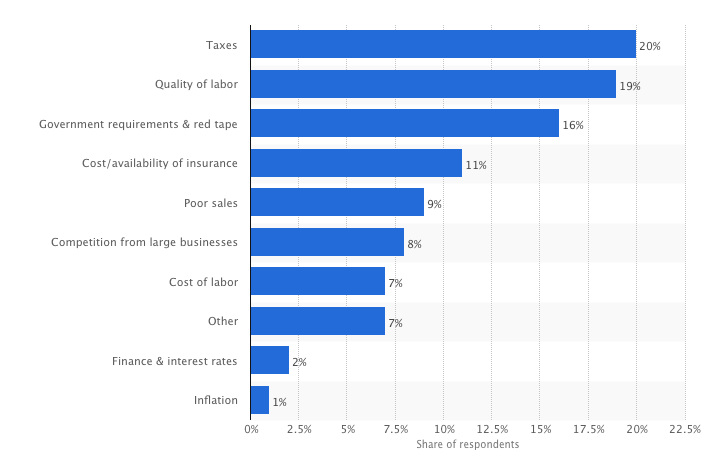 In fact, small businesses still cite costs as one of the biggest challenges they face. These can be costs related to insurance or storage, for example, or to taxes and compliance. In 2017, small businesses cited costs as one of their major operational problems. This is why it is especially important for small businesses to pay attention to their margins, and ensure they’re doing everything to keep costs down. In addition to this, they also suffer from low accountability, as tasks are shared flexibly across resources, making it difficult to assign responsibility accurately. Another cause for concern for small businesses is their inability to handle unpredictability. When your margins are small and budgets tight, a piece of equipment breaking down or an accident leading to damaged assets can wreak havoc on your operations. This might be one of the reasons only two-thirds of all small businesses will survive to see their second year! What makes this survival easier, though, is the ability of these businesses to make quick and smart decisions, based on accurate data. Unfortunately, though, this kind of data is sometimes very hard to come by for these organizations. With all these unique challenges faced by small businesses, let’s go back to our initial question about how small businesses can best manage their assets and inventory to optimize workflows and streamline processes. It shouldn’t come as a surprise that organizing your business equipment well can lead to huge benefits, and even help overcome some of the challenges we’ve just discussed. So without further ado, let’s dive into the 3 easy steps you need to follow to set up an equipment management software for your small business! Asset tracking is a great way to organize your equipment, know which employees have access to which items, and manage activities like maintenance, procurement, and the like. In order to execute such actions effectively, however, it is first important to isolate the data points that you find are important for your business to run smoothly. This could include details of locations where your equipment is warehoused, for example, or information related to maintenance schedules, member roles, or work order types. Remember, it is only when you have identified all these data points that you can then glean valuable insights from them. Below we’ll outline some crucial information you should gather in order to make the best use of your new asset management solution! Items: Take stock (pun intended!) of all the assets and inventory you own. Do some of them have interesting specifications that would be worth putting on record? How many of each item do you have, and how would you want to keep track of them? For example, items like cables would be better off tracked in bulk, whereas laptops should realistically be better managed if they’re tagged and tracked individually. Locations: How many locations would your equipment be situated in? You could have different distribution warehouses, storage rooms, job-sites, and offices spread all across the country. It’s also helpful to create parent-child associations between locations that ‘nest’, to ensure you can accurately track an item down to the shelf it’s on! Members: How many employees would be regularly tasked with managing your equipment? In addition, which of your employees would you be checking equipment out to, and would you want to cordon off access to certain items? For example, you would do well to restrict your IT crew from having access to equipment from the Marketing department. Documents: You must have a lot of these! Whether they’re warranties or SOPs, work orders or invoices, chances are your business is sitting pretty on top of a lot of documents. You can digitize these to add to your new asset tracking platform, or just start afresh, deciding which documents you would want to generate through the system. And with that, you’re well on your way to getting started quickly and easily with an asset management platform. You have all the information you know your business privileges, but do you know what to do with it? All businesses work differently. For example, less than half of all factories have a proactive approach to maintenance. This means the majority of plants will only undertake a maintenance activity after a piece of equipment has been damaged, rather than trying to predict and prevent such damage from occurring in the first place. This is why it’s important to decide which actions you need to regularly take on your equipment. Perhaps you’re using asset tracking software to manage stationary equipment such as plumbing fixtures or billboards. In this case, you wouldn’t need to worry about being able to check items out to your employees. Of course, within all businesses, some assets need to be bought, and some have short shelf lives and so need to be disposed of appropriately. You should also think about what needs to be done in terms of individual tasks, such as the items that need to be fixed routinely, the kinds of decisions that need to be made about assets, and the information that will help you improve those decisions. Planning for the future is key when running a small business, and this is no exception. A recent study found that even something as elementary as drawing up a business plan will double your chances of success in the market! This is why it is crucial to think about the way your organization uses assets, and the kinds of processes it needs to be invested in. Now that you know what you’re aiming to track, and what needs to be done in order for your business to run smoothly, all that’s left is to plug in those values into your equipment tracking software and you’re good to go! You’ve instantly centralized a huge number of tasks crucial to your business. By creating linkages between these spheres, you’re not only creating economies of scale, but also generating much more accurate data about your organization. Control, audit, and reconcile all aspects of your business assets using asset lifecycle management. Let’s look into how that would look if you bought a new asset for your business, all the way through to formally retiring it at the end. Say Sarah is the newest recruit in IT, and we have to set her up with a laptop. You’d create a purchase order in the system, and communicate with the vendor to settle on a price. When the laptop finally arrives, you’ll just have to acknowledge receipt of it and the system will automatically populate the item within your product catalog. You’d now slap a QR Code or Barcode label onto the laptop, and check it out to Sarah. If custodianship ever changes, you could simply scan the asset label and change the equipment’s assignee so you’re keeping up to date records on all item usage. Next up, say the laptop needs to be serviced every 6 months. You could create a recurring work order around that task, and rest assured all relevant hardware maintenance and software updates are always done on time. You can even keep records of which vendor is responsible for these services, and the cost and man-hours appropriated to the task. An item’s maintenance history is also a great way to get an idea of whether it has started to become a liability, or whether Sarah herself is losing or damaging too many assets! Of course, all this while you can carry out audits to ensure the laptop hasn’t been lost or misplaced, and run custom reports to analyze its availability, usage and reliability in more detail. After the laptop has exceeded its useful life, you can see its depreciation record and formally retire it. You’ll get to claim a salvage value, and Sarah can be given a brand new laptop, kicking off a new procurement cycle! Now wasn’t that easy? Imagine being able to do that with all your assets, centralizing important equipment activities on one system! Now that we’ve seen how easy it is to set up asset management solution, let’s discuss why it is so crucial for your small business! A survey carried out by Tech Pro Research found smaller companies actually spend a greater proportion of money on software and IT services. This is because software such as this can be even more valuable on a smaller scale. By enabling just one person to fulfill all your employees’ equipment needs, as well as managing procurement processes, work orders, and maintenance schedules, you’re creating huge savings in cost, time, as well as human resource expenditure. Let’s take a deeper look at some more benefits of using such a system to organize equipment usage in your organization. Lowered overheads: This is one of the easiest ways to lower administrative overheads! Not only are you freeing up human resources by giving the management of the entire asset lifecycle to just a few people, but you’re also vastly improving asset visibility. This means fewer redundancies, lower storage costs, and increased availability of assets across your organization. Equipment reliability: A good equipment maintenance software can improve equipment reliability by as much as 35% to 50%, according to a recent survey carried out by Reliability Web. The benefits of this cannot be overstated. It means maintenance costs plummet because there are fewer ‘emergency’ repairs which can often cost a lot. It also leads to fewer assets being procured to replace faulty originals. And of course, employees aren’t hampered from carrying out their tasks because of malfunctioning equipment. It really is a win-win! Bolstered accountability: A solid asset management system will create linkages between items and their users. This enables you to trace custodianship back to specific employees, keeping them on their toes and ensuring your assets are well-looked after. Regular audits can make checks on your items even easier, especially if you’re carrying them out by scanning asset labels. Actionable insights: The ability to make good business decisions can significantly improve the outlook of your company. It is surprising to know that 18% of all companies don’t measure any kind of KPIs at all! This can be fixed by regularly drafting up a few key reports around asset utilization, work order fulfillment, and maintenance practices. Valuable data such as this can help your business focus on problems and optimize workflows even more effectively. If you run a small business, it might be a great time to start looking into small business asset tracking software. Armed as you now are with expert tips on setting up and using such a solution, you can now easily scale your business and improve productivity across the fold! This blog post was produced by one of our Vendors, EZOfficeInventory. Momina Sohail is a guest writer, Durham graduate and Commonwealth Scholar. She works as a Content Curator at EZOfficeInventory, an asset tracking software for small businesses and beyond. She is interested in the way technology interacts with contemporary businesses and enables them to focus on core efficiencies.